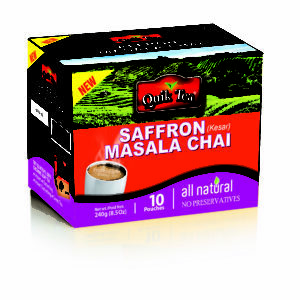 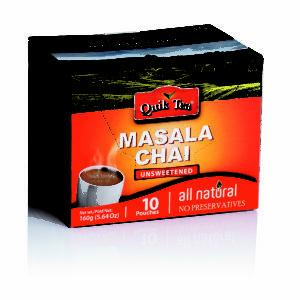 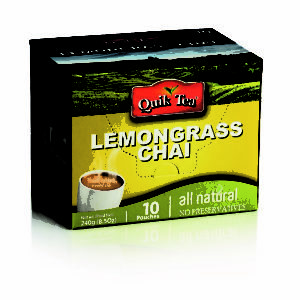 QuikTea Vegan Cardamom Chai has all the taste of Chai but made with Coconut Milk powder. 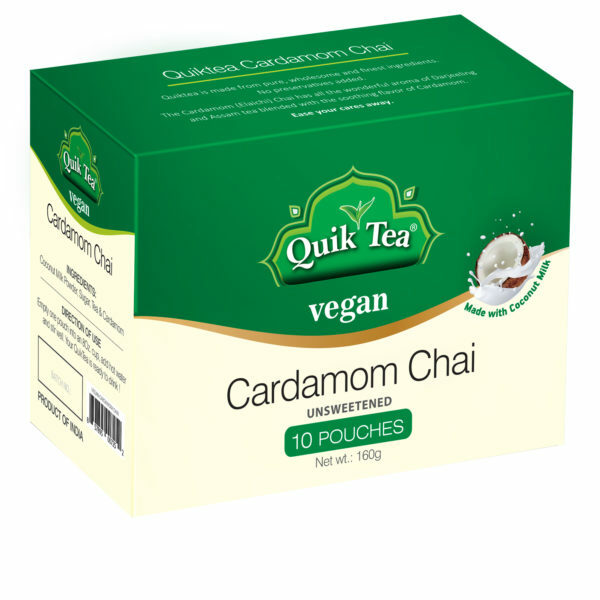 Who said it is tough to be Vegan!! 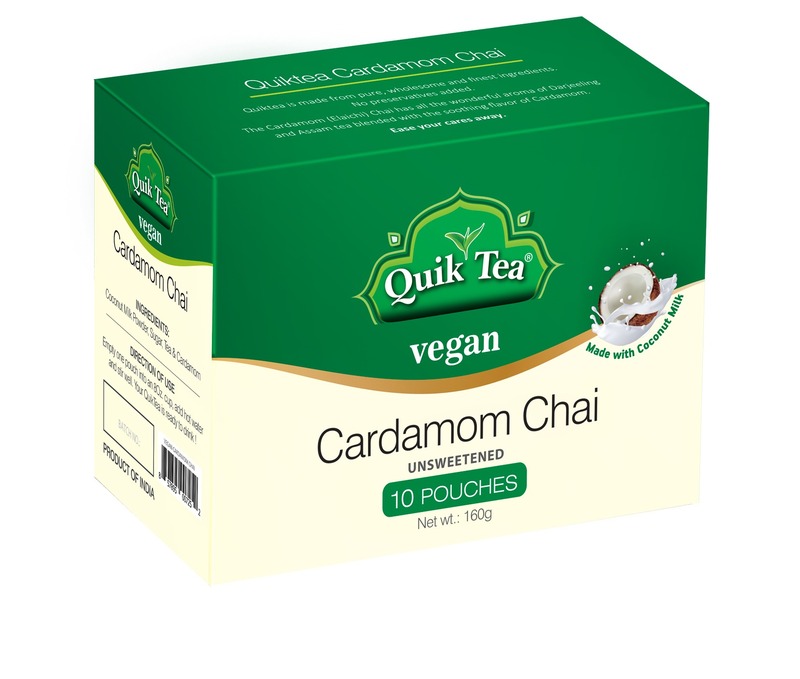 Just empty a pouch into an 8 oz. 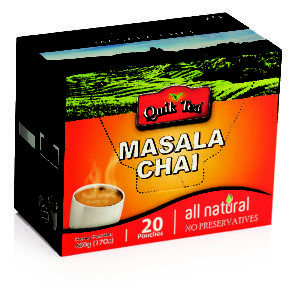 cup, add hot water and stir.